As midwesterners, we’re no strangers to casserole at Freezer Meal Frenzy (though as Minnesotans, we’re tempted to refer to it as hot dish). 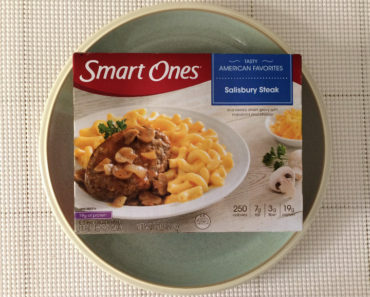 Well, it looks like Smart Ones has released a frozen meal designed to tantalize those specific sensibilities with the Tuna Noodle Casserole. 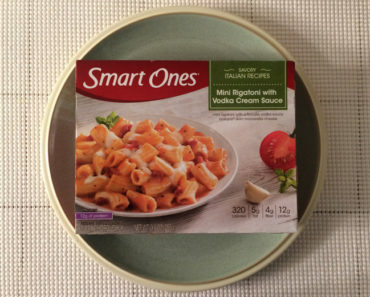 As a Weight Watchers product, the SmartPoints value is listed right on the side of the box. 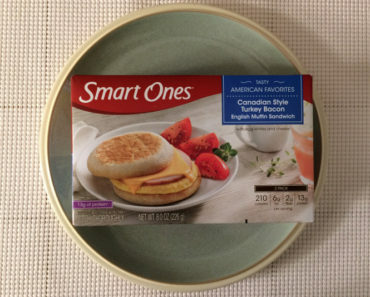 This meal is worth a measly 6 SmartPoints. It contains only 270 calories (and only 30 from fat), making it a very diet-friendly casserole. The first thing we noticed was just how loaded this thing is with bread crumbs. 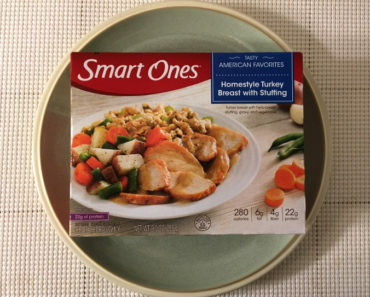 It’s no small sprinkling; before you stir this meal, it looks like someone smashed a full sleeve of crackers and dumped it right on top of this dish. 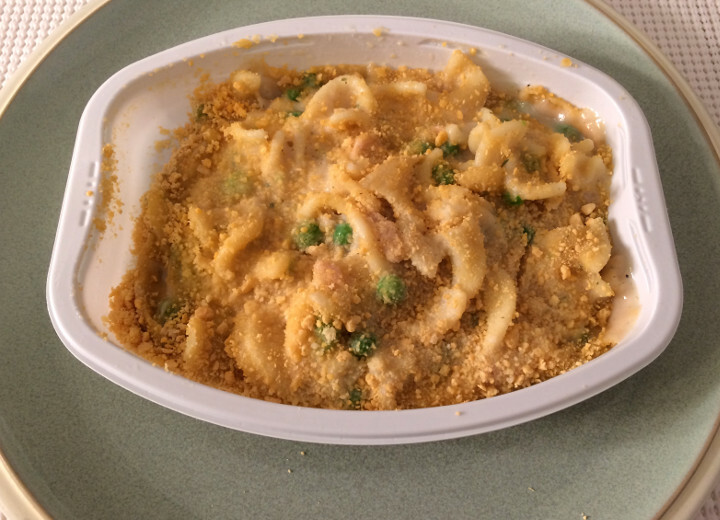 When you mix it down, it actually turns out pretty okay, but it was definitely a surprise to see how generous Smart Ones’ bread crumb department was the day they created this casserole. 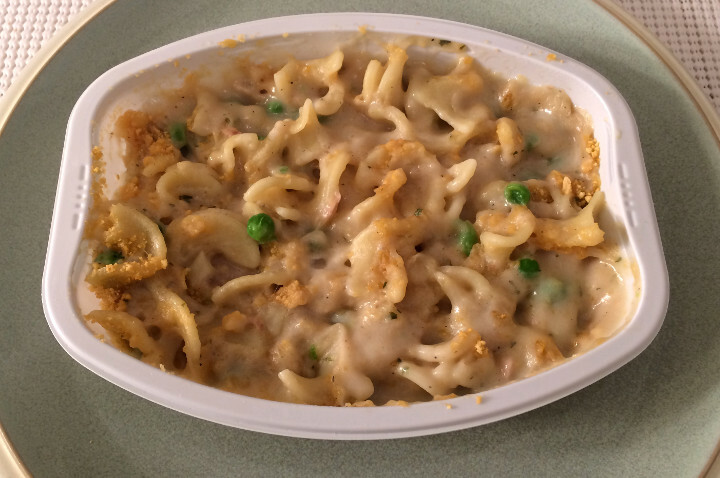 It smells a bit fishier than we’d like a tuna casserole to smell. Sure, tuna is a little fishy by nature, but it typically tends to be one of the less fishy fish out there. If you take a big whiff, you’ll probably find this to almost overpoweringly fishy. Thankfully, that smell doesn’t really transfer over to the taste. As far as flavor is concerned, this is a pretty decent potency of tuna. And that’s because it’s mellowed by the cream sauce, which doesn’t have a ton of flavor on its own, but it serves as a great buffer for the tuna. It sort of evens itself out, and the result ends up being pretty tasty. Mafalda is a fun noodle shape for this dish, though if we’d had our pick we’d probably have gone with a loose spiral. It’s really hard to top a spiral in a casserole. There are a few peas mixed in as well, but we barely noticed them. 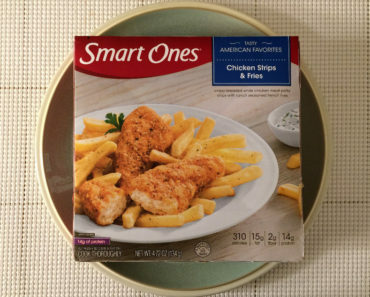 It almost feels like they were there just to add a little bit of color to a dish that would otherwise be gray and whitish beige. So the peas were probably a good choice. 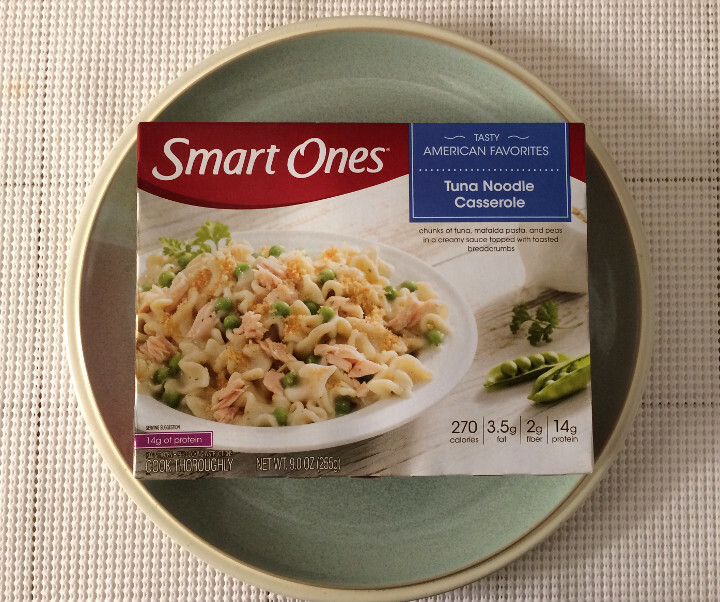 We’ve tried a few Smart Ones dishes now and the Tuna Noodle Casserole is one of the tastier ones. We really like it, though that might be due in part to our hot dish bias. Of course, the low calorie count is also a pretty huge plus for this one. We’d just caution against taking it into an office — you don’t want to annoy your co-workers with this dish’s fishy odor. 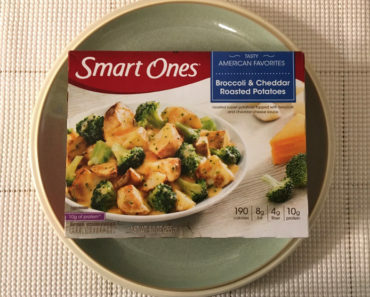 If you want to learn more about the ingredients or nutrition content of this frozen casserole, check out our package scans below.